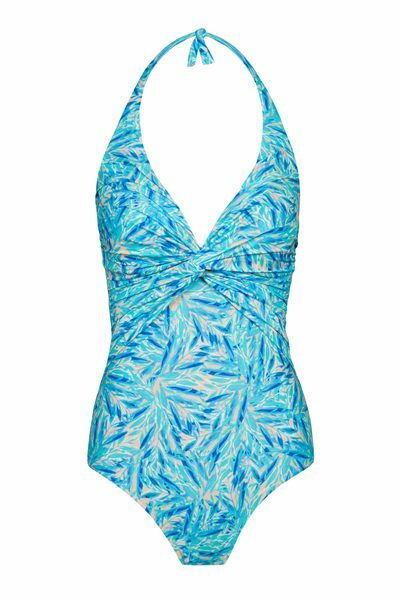 Adorned all over in a bespoke print new to the 2019 collection; the Zanzibar Blue Leaf and Green Paisley Halterneck Ruched Knot Onepiece Swimsuit creates a svelte silhouette and delivers a perfect dose of style whether pool-side or at the ocean front. The bold, graphic print gives an air of modern femininity to the timeless piece from Melissa Odabash. Pair the Zanzibar with the Annaelle as you explore the resort. Not all of our items will be colour fast, so we reccomend washing them before first wearing the item. Melissa Odabash is the ultimate luxury holiday lifestyle brand. Her exotic, glamorous and sensual designs are must-haves for the distinguished global traveller. 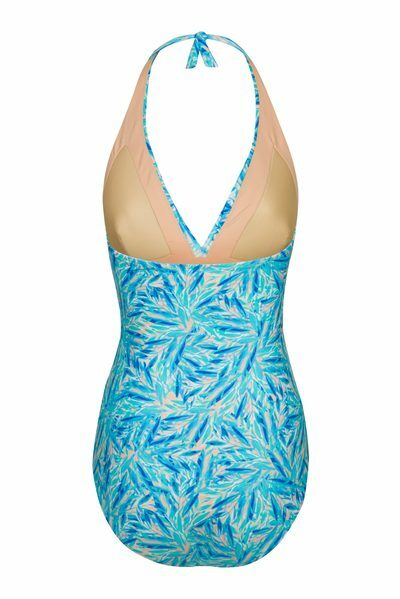 As a former swimwear model who lived and worked in Italy for many years, Melissa has a finely tuned sense of what women want from their swimwear: beautifully designed pieces, with timeless style and cut from superior fabrics designed to suit every body type and make women look and feel their best.